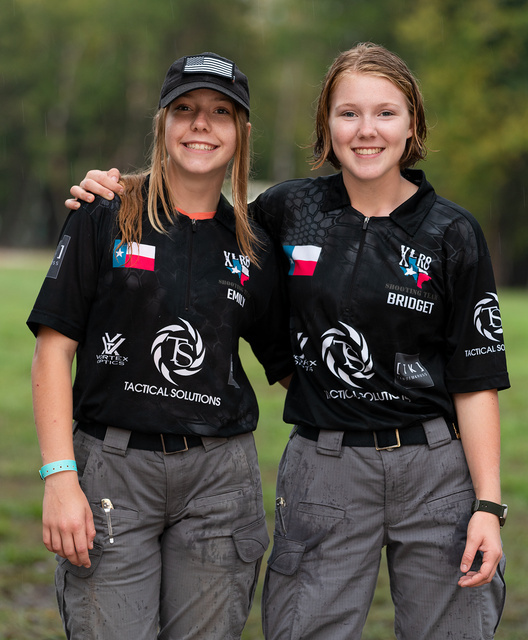 Ten minutes after the three-day World Rimfire Challenge marksmanship event wrapped up, the skies opened up. Rain fell hard and fast, causing some flash flooding. As the event organizers were dismantling the camp, I noticed these two girls and a boy running around helping. All three were wet, muddy, tired and smiling. Turns out they volunteered to help and found tasks for themselves without any prompting by parents or event admins. That kind of attitude is rare enough in adults, and is most commendable in kids. Skills may be acquired later, but attitude like this comes from the basic character. I know who I would want to work with in the future.